The United States Congress has to raise the debt ceiling before August 2 otherwise the United States will default, because it can't borrow any more money. Before that date democrats and republicans need to make a compromise about the raise of the amount that the government can borrow, possibly together with a long-term austerity plan. 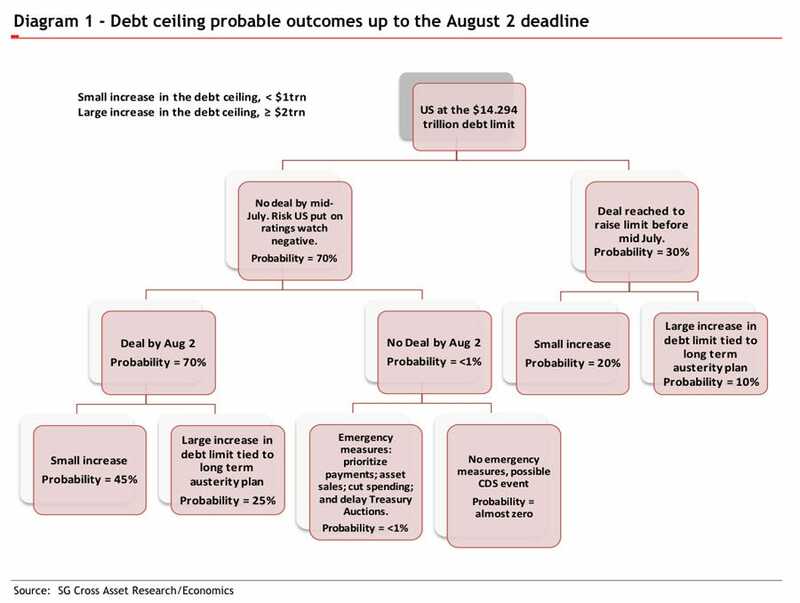 According to Societe Generale who made the next graph the most likely outcome is that the debt ceiling will be raised by a small amount.